INTERESTED IN JOINING THE ABRAMS SALES TEAM? We are committed to providing our customers with high quality products, and we are looking for sales reps who can help us get these products into the hands of the right customers. Abrams independent Sales Representatives, who also may be called manufacturer’s agents, sales representatives, or account managers, work as liaisons to between the company and the marketplaces we serve. Selling, of course, is an important part of an Abrams Sales Representative’s job. They use their technical skills, professional approach, and vast lighting knowledge to demonstrate to potential customers how and why Abrams brand products suit the customer better than competitor’s products. We assign you a team of individuals whose mission it is to ensure your success and satisfaction. Get paid great Commissions on every sale you make! Paid out on a monlthy basis. We pride ourselves on our excellent customer support and assitance to all Abrams customers. Allowing you to work from the comfort of your own home or literally anywhere you want to work. Which producvts are you interested in selling? You can work as an independent contractor, which means that you have the opportunity to set your own schedule and work at your own pace. Since you maintain control over your work hours, you have the flexibility to structure your work day according to your lifestyle. All our sales representatives work as independent contractors, which means that you won’t be an employee on payroll. Instead, you will be promoting the Abrams brand and product, and receive a commission payment when sales are made. DOES ABRAMS HAVE ANY MAINTENANCE FEES OR PAYMENTS REQUIRED? By choosing to participate in the Abrams sales rep program, you will not need to pay any monthly fees to maintain your account. Giving you the opportunity to earn more commissions on sales for the entire month. Additionally, sales representatives receive payments through PayPal. When you make sales through Abrams, you will have the convenience and guarantee of a commission payment deposited in your account at the beginning of each month. HOW DO I REGISTER FOR THE ABRAMS SALES REP PROGRAM? 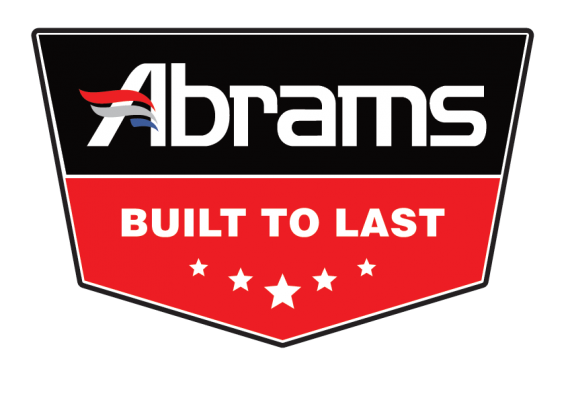 Registration for the Abrams sales rep program is simple and easy, we offer an easy to use online registration form. Please make sure that you enter current, and complete information on your application. This information should be updated on a regular basis if any of your personal details change. It is your responsibility to keep your information up to date. We are here to help, so feel free to contact our team if you have questions about the requirements for becoming an Abrams sales rep.